Brahmanandam Undergoes Heart Surgery: The Iconic Tollywood actor Brahmanandam Kanneganti underwent a heart bypass surgery at the Asian Heart Institute (AHI), sources close to the family said in Mumbai on Tuesday. Brahmanandam was rushed to the AHI Mumbai in a critical condition on Sunday and underwent several tests. Brahmanandam was finally operated upon by renowned heart surgeon Ramakanta Panda on Monday. The Post-surgery, the condition of Brahmanandam is described as stable and he is under observation now, the sources said. The 62-year-old Actor Brahmanandam was accompanied by his sons Raja Gautam and Siddharth to the hospital for the surgery. An acclaimed actor and comedian Brahmanandam has acted in over 1,000 Movies, mostly Telugu, and holds the Guinness World Record for the maximum film credits for any living actor. He was honoured with a Padma Shri in 2009 and is ranked amongst the most highly paid actors in the country. 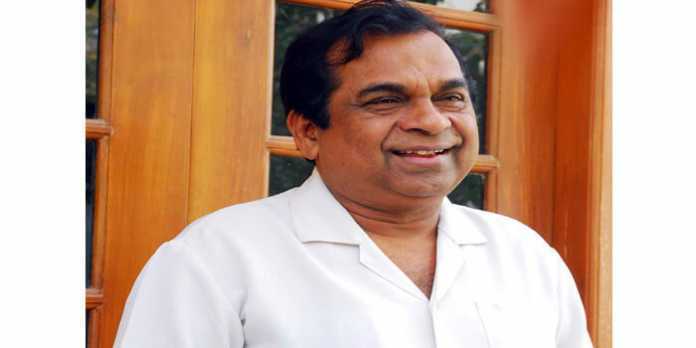 Actor Brahmanandam Undergoes Heart Surgery News on Media. All Fans took to Twitter, expressing concern for actor Brahmanandam and wishing him a speedy recovery. “Get well soon Brahmanandam garu!!! we want ur vintage comedy on screen (sic),” wrote one of a Twitter user. ‘Get well soon, wishing to see you back on screen soon!! #Brahmanandam (sic),” another added. The Theprimetalks.com wishing him a speedy recovery.